Schwimmbad Camping Hall in Tirol er en campingplads i Hall in Tirol, Tyrol. Denne campingplads har pladser der er afmærkede og pladser med en smule skygge. For den sporty feriegæst har campingpladsen udflugtsprogrammer, vandreture med guide og forskellige cykelruter.Campingpladsen har en udendørs swimmingpool og et børnebassin.Der er også en vandrutsjebane. Denne inspektør besøger hvert år Schwimmbad Camping Hall in Tirol og inspicerer campingpladsen ud fra omtrent 200 faciliteter og andre fokusområder. Inspektøren arbejder for ACSI og arbejder altså ikke for campingpladsen. Lovely little site with very friendly and helpful staff (Hector and Roger). Amazing swimming pool right next to the site with free access. Lovely area for visiting Innsbruck and very pretty town within walking distance of the site. Would certainly come back here again. This is a small municipal site on the edge of the pretty town of Hall in Tirol. It’s well run by Hector and Roger. Pitches for motorhome are a little snug, but not unbearable. There is free access to the magnificent municipal pool area next door, with its 50m pool, children’s pool, snack bar, cafe and large grassed area. Innsbruck is accessible by bike or bus. Good cycling opportunities in both directions. Be prepared to pay with cash unless you have a Maestro card. We stayed 4 nights at this small, well maintained site and will certainly be returning. Very friendly and helpful manager. Showers and toilets spotlessly clean. Ideal base for visiting Innsbruck and surrounding attractions. Local town very pretty. Inn cycle route easily accessible. We stayed 2 nights in this small, quiet and well managed camping. Excellent base for visiting Innsbruck. The bathrooms are clean and the manager is friendly. The swimming pool (free) is super! Highly recommended for holidays lunche because the surroundings offer many attractions. Vil du booke Schwimmbad Camping Hall in Tirol eller have yderligere information? Det kan du via nedenstående oplysninger. Inntal-motorvej, frakørsel 68 Hall og følg skiltene (mod swimmingpoolen, B171). 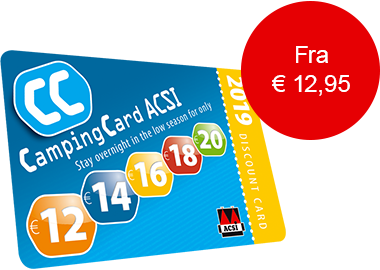 ACSI Eurocampings sender din forespørgsel videre til "Schwimmbad Camping Hall in Tirol".